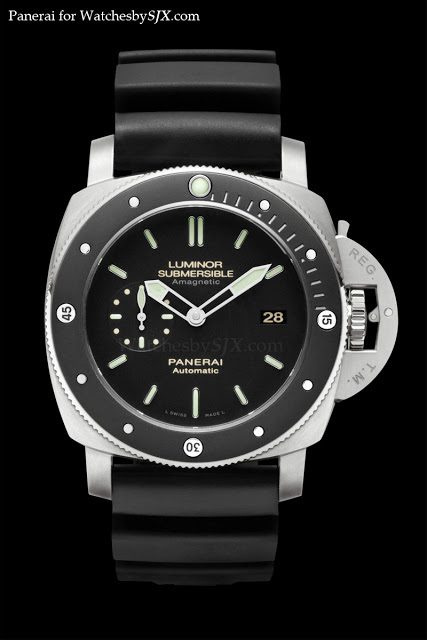 The Submersible Amagnetic is actually the second antimagnetic Panerai, the first being the Arktos Amagetic PAM92 worn by explorer Mike Horn during his Artic expedition. 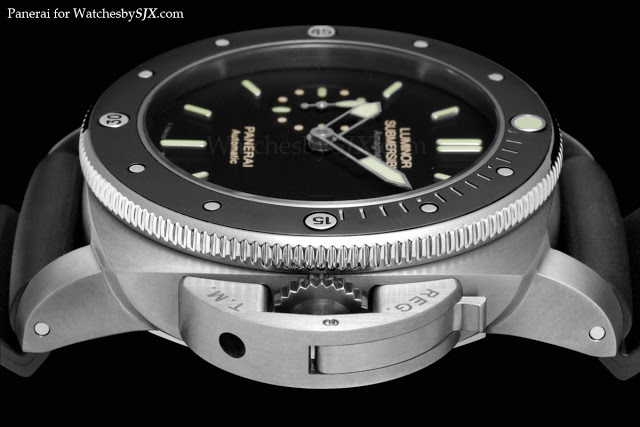 ﻿﻿ The other notable feature is the titanium bezel with a ceramic insert, onto which the bezel markers are applied. 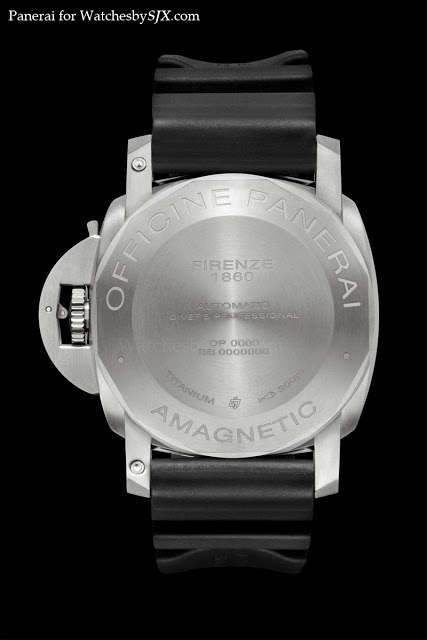 The retail price is EUR8900, or about USD11,500. 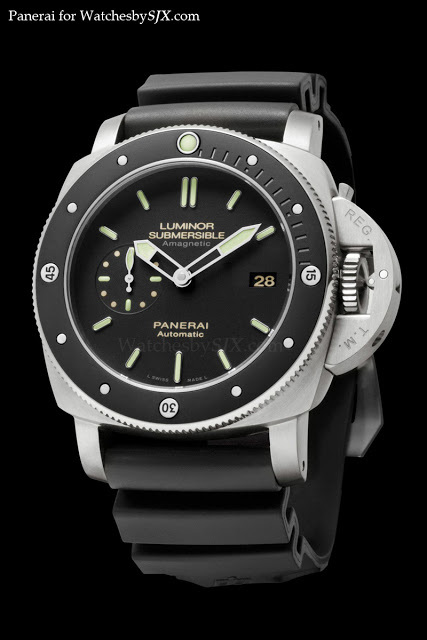 I have always liked the Submersible, I’ve had a PAM25 for some years, and this is an attractive variation on a theme, although it is nothing novel technically. 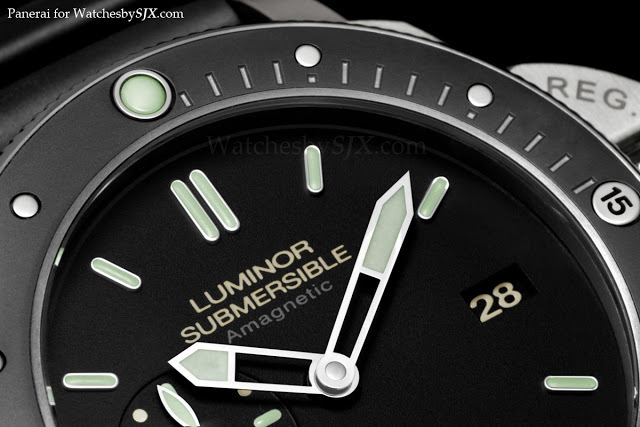 The IWC soft iron cage Ingenieur watches are resistant to magnetic fields of up to 80,000 A/m. 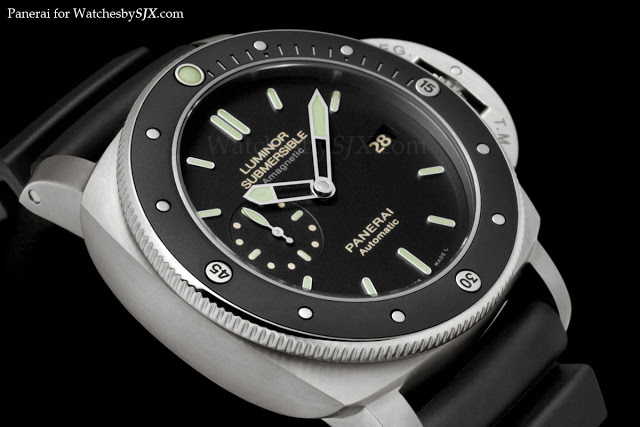 A more sophisticated solution would be to use amagnetic materials for the balance and escapement, which is what IWC did before with its Porsche Design Ocean 2000 Bundeswehr AMAG watches.